Today we are happy to announce that we have significantly expanded our material range for the Solidator 2 Printer. We now offer Gray Functional Resin, Black General Purpose Resins as well as Casting and Heat Resistant in addition to Transparent-Orange. 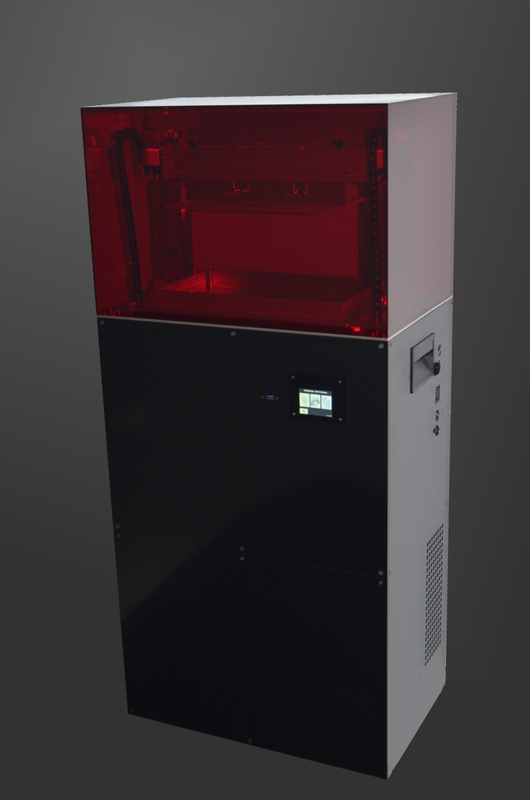 Today we are happy to announce that the Solidator 2 DLP 3D Printers are now shipping to customers. Version 2 is is a huge step forward. The Solidator Version 2 features an even larger build volume you get 336x210x200 mm (13,22"x8.26"x7.87") – 14.11 liters – that is 210 mm x 56 mm more area than before! In addition we almost doubled the resolution from 270 micron XY to 170 micron XY using a high-end high-power projector allowing for 4.6 billion voxels. We were able to keep the most exciting characteristic of the printer: Solidator Version 2 is a super high speed printer. With 2138 cm³ / 130 in³/h and layer exposures of 10 seconds on this incredible large build space with R001 resin. The sales price is 8500 EUR. Units are in stock as of now. Please fill out the “Request a Quote form” to get a quote including shipment prices and resin. All sales and support is now handled by tangible engineering GmbH, Germany, founded 2001. - 3D Surface Smoothing – Will make the surface of your prints smooth in XY and Z ! - Hollow-Infill to support large closing surfaces e.g. when printing a shoe box. We are glad to announce the immediate availability of Solidator Studio 1.1 which provide two additional support structure options “Smart Raster” and “Manual Support” as well as Orthographic View as requested by our users. We are beginning to sell the Solidator worldwide! Please request a quote for the Solidator DLP 3D Desktop Printer on the website that includes shipping costs for your location. By now our two Support Centers are opened in the US and Europe. You can now easily order resin and resin containers within your local market with quick turnaround times. The shipment to Asia is now on its way. The Solidator comes now in the improved packaging for overseas delivery. In the meanwhile we received feedback that all Solidators that shipped arrived well. Today we shipped all US orders. We already got the first impressive user prints in our forums. In addition you can find a lot of prints and videos from us regarding possible application scenarios. As promised the first Solidators leave the building tomorrow (23rd September) heading to Germany and Switzerland. The printers are ready for pickup. They should arrive Thursday / Friday this week at their destinations. 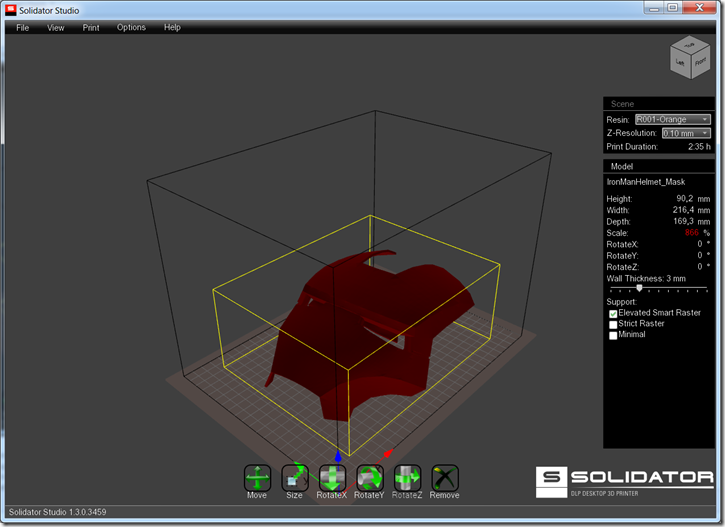 Solidator Studio is the main software application shipped with the Solidator 3D Printer. 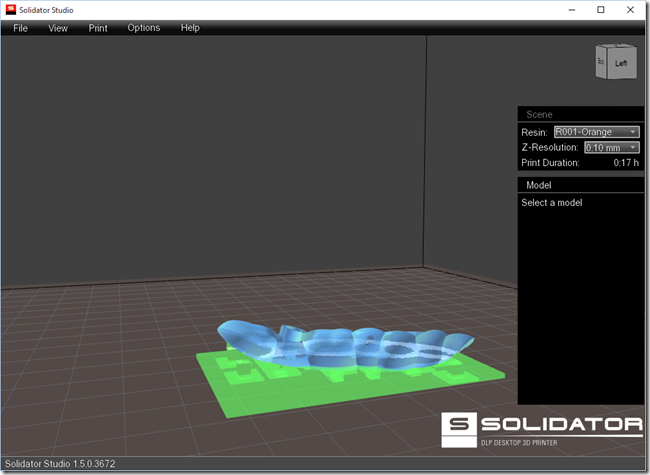 It enables you to prepare existing 3D models quickly and easily for printing with the Solidator 3D Printer. Solidator Studio runs on all major platforms, such as Windows XP/7/8, Mac OS X, and Linux. Funding successful - Very special thanks go to all our backers! We hit our goal thanks to you, our amazing backers. You made the first production batch possible – this is awesome! We are so happy we made the goal with your support and your trust in our company. Now it is time for us to order parts, assemble the first production batch of Solidators and ship them where they belong: on your desk. We will send out a survey soon to collect information regarding delivery addresses and more so we can optimize the logistics and packaging in parallel. The shipping addresses will also be used to optimize the shipment of the Solidator resin. We will inform you about the material ordering process as well. Once we have fully planned the shipping and did test the packaging we will inform you about individual shipping costs, which depend on the packaging format and target location. You can contact the development team directly with questions, ideas or feedback at support@solidator.com. JACKSONVILLE, Florida. 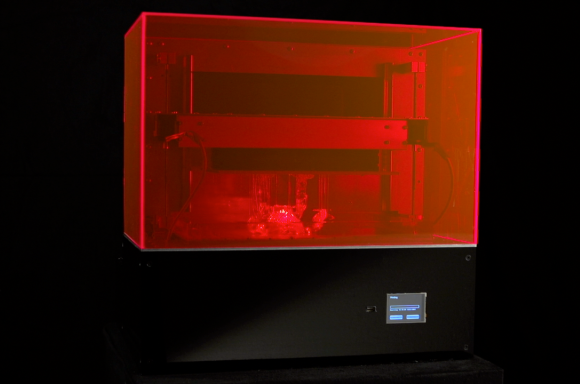 December 10, 2013 – Florida-headquartered technology startup tangible engineering USA Corporation today unveiled its “Solidator”- a new 3D desktop printer built to print large parts quickly, with super high resolution and high printing speed. The new 3D printer has the maximum resolution, speed and most compact design you can possibly get when printing paper-sized 3D objects. The patent-pending design using DLP stereolithography technology provides high resolution on a large print bed and allows you to create 3D objects in a fraction of the time—right on your desk,” said Tim Fischer (President & CEO of tangible engineering USA Corporation). 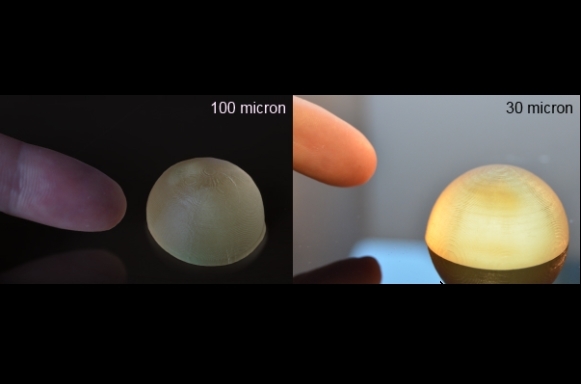 The new 3D printer called “Solidator” uses stereolithography and Projector DLP technology to turn liquid plastic (similar to nail polish) into a solid 3D object with just visible light. The 3D object is created layer by layer upside down. Solidator is capable of creating a single layer of an object at a 100 micron resolution in just 10 seconds independent of object shape or number of objects placed on the build platform. 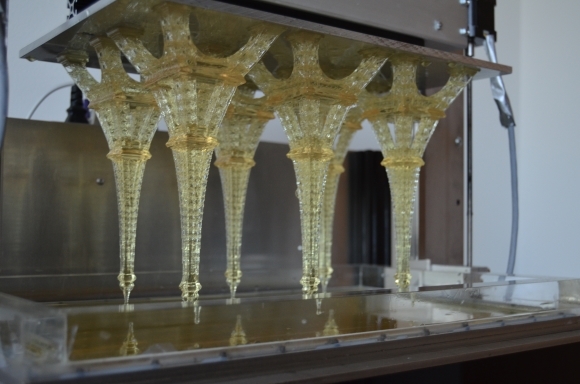 This way, Solidator can create 6 Eiffel Towers at 20 cm height (7.9”) in only 5.5 hours. “The sheer size of the build area and the build volume is massive by comparison. 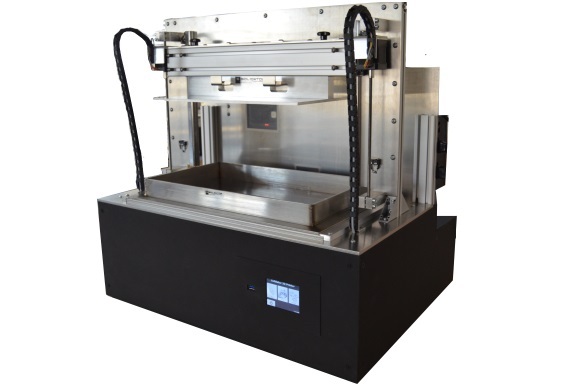 The printer features a 280x210x200 mm (11.02" x 8.26" x 7.87") build volume. The resolution achievable with the printer is impressive as it creates 3D voxels with a size of 0.27 mm by 0.27 mm with a 0.1 mm layer height (0.01063" x 0.01063" x 0.00393"). 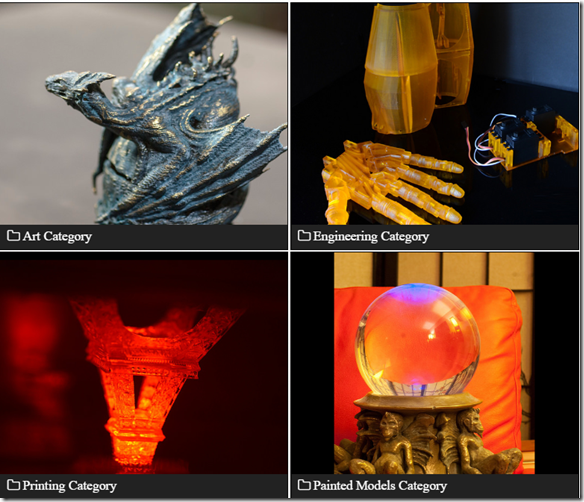 tangible engineering USA Corporation is a technology startup with experience in the field of 3D printing, software development and electronics. The company is working globally with team members in the USA and development labs in Europe.